At a high level, crypto trading only requires an exchange hosting digital wallets for 2 or more crypto assets that can be traded at their current market value. These are the components needed to execute a trade — but what happens before you make a trade? How do you perform research, discover the right asset, and track your performance? Crypto enthusiasts around the world face these same problems. First, there is no easy way to learn the fundamentals of the cryptocurrencies and second, it’s difficult to find a community of people to bounce ideas off of. It’s also hard to discern if the advice you get is credible enough to risk your hard-earned money or coins on. While the core components — an exchange and a digital wallet — aren’t going anywhere, we believe a platform designed to be social from the ground up will dramatically change the typical crypto traders research process. Let’s explore how social platforms will disrupt the crypto trading model. What is a social platform? A social platform is one that’s designed from the ground up to foster social interactions. Those interactions could be comments, messages, pictures, videos, or more. We can attribute part of the success of Slack, WhatsApp, Telegram, and other chat apps to the communities that grew on their platform. A free way to chat is nice, but the ability to use a Slack channel to collaborate with minimal friction or join a Telegram channel specifically dedicated to the hottest topic in crypto brings much more value to users. Furthermore, the breadth of social products we use are broad. We can think of YouTube, a video sharing platform, as a social network. Yes, people come for a specific video but there’s also the ability to subscribe to channels, comment directly on videos, or share those videos across social media, email, and engage with others in the comment section. Today, most people don’t think of combining “social” with “finance” but we believe that is changing. 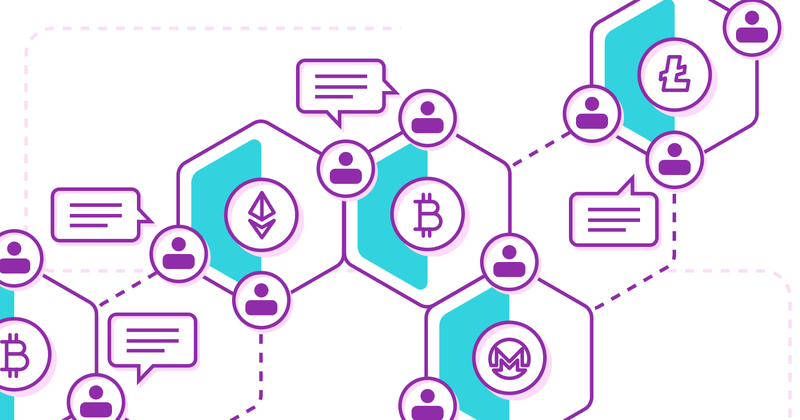 There are a few key reasons why a social platform has additional benefits when compared to traditional exchanges as we know them. We’ll dive into that next. Humans are inherently social creatures. By leveraging the knowledge of its participants, a social platform makes it easier to onboard and teach new members. It’s one thing to read a concept on a frequently asked question (FAQ) section of a website, and another thing entirely to experience events (like a hard fork, or a main-net going live) in real-time while chatting with other crypto enthusiasts who are sharing their personal thoughts as the event unfolds. The ability to ask a specific question or get clarity around a breaking event provides a memorable experience, something that’s hard to recreate without the authentic participation of engaged crowds. We can look at Twitch as an example: The top live streamers on the platform garner hundreds of millions of views on their videos. Put another way, more people watch live streams of video gamers than any professional sports broadcasts from the MLB, NBA, or NFL. Humans instinctively want to observe other humans engaging in activities that they can personally relate to. In addition, participating as observers is a great way to increase one’s own skill level. Social platforms also provide accountability. We have all witnessed this anecdotally: Once you say something publicly, you are much more likely to follow through. But accountability also gets fostered in other ways. Social interactions motivate people to be good actors. People who are misleading or come off as spammy get removed from the group by the community via reporting systems. There are also opportunities for the community to recognize and reward influencers. It’s only a matter of time before entrepreneurial types within the crypto community use social platforms to post helpful content and seek rewards for their contribution. Social trading platforms provide an opportunity to introduce cryptocurrencies to hundreds of millions across the world. Today, there are approximately 34 million wallets on the Ethereum network alone, a fraction of the total addressable market for crypto. That’s why we’re excited to introduce Hilo, our new social platform to help crypto traders and enthusiasts alike. There was no simple way for the Hilo founders to qualify research on new coins in this rapidly changing market, so our goal was to set out to build a platform that allows users to track influencers, learn about their portfolios, discover new coins, and catch up on all things crypto. Hilo is about building community driven discussion and empowering users to earn tokens for sharing their expertise in the form of producing video content and disclosing the percentage holdings of their portfolios. Be on the lookout for the launch of Hilo and how their HILO token can incentivize users to explore, learn, and chat about what’s happening in the crypto economy.